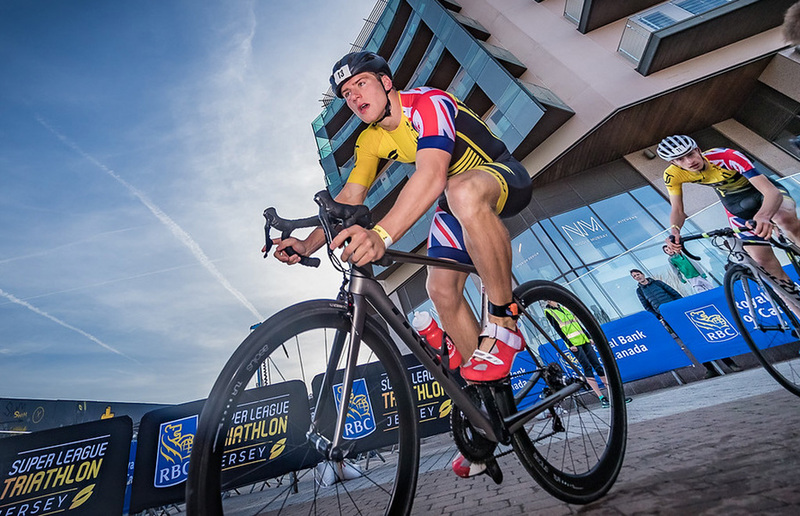 PLYMOUTH’S Travis Bramley enjoyed a welcome return to form at the international Super League Triathlon in Jersey at the weekend. Bramley finished fourth in the junior men’s race at the Channel Island competition. He was less than a second off claiming a medal in the event that attracted athletes from around Europe. Although gutted at just missing out on making the podium, Bramley was encouraged by his performance after three frustrating injury-hit seasons since becoming British and England youth champion in 2015. “I ended up less than a second off the podium, which was a bittersweet moment if I’ve ever had one,” he said. “More important than a medal, though, was for me to feel good and enjoy racing again, having had a pretty unfortunate season so far and having not produced any real results since 2015. 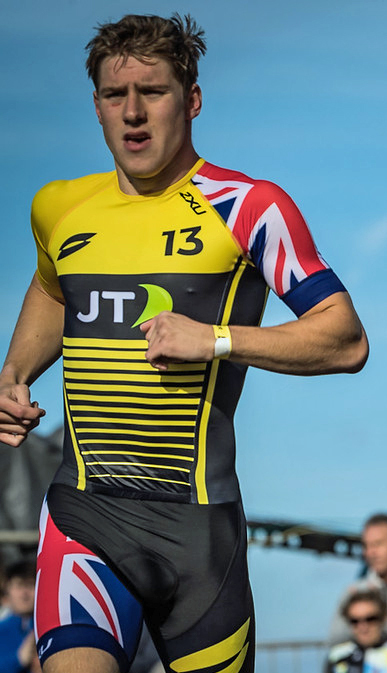 The Super League event for the junior men in Jersey involved two back-to-back rounds of a 300m swim, 3.3km bike ride and a 2.2km run. The first round was basically a heat to decide the starting positions for round two. The first five in the opening stage would start the second round ahead of everyone else, with the next five ranked athletes starting the swim two seconds later and so on down the field. Bramley eased into the top 10 on the first round, which was his target. “Going into the event, I didn’t want to burn too many of my candles trying to get into the top five (on the first stage), but I knew it would be possible to get into the top 10 without emptying my tank too much – so to have done that, I was over the moon. He added: “The first swim was brutal – even more than usual. I even ended up with a cut eye from where a hand or foot had obviously pushed my google into my eye socket. “I got a got a good start to the second swim, but it was still brutal, despite taking a wide line. “I have no idea where I came out of the swim, but I really put on the burners through transition and on the first lap of the extremely technical bike ride I moved myself into the front of the chase pack containing around 10 athletes, with a group of around four up front. Bramley moved into a clear fourth on the first lap of the run and then started to close in on Cameron Main and Oliver Makinson in second and third places on the final lap. In the last couple of hundred metres Bramley’s rivals were desperately hanging on. Marcus Day won the title in 17.45 minutes, with Main second in 17.52, Makinson third in 17.54 and Bramley fourth in 17.55. There was then a 10 second gap to Germany’s Arne Leiss in fifth. “In the end it turns out I had the second fastest run time as well, which was an awesome bonus,” said Bramley. “That’s a testament to all the hard work that’s been put into my run these past few months by myself and my coaches Graeme Riley and Fin Saunders. “One of the aspects I’m most pleased about is that my feet didn’t give me any issue on the run. I’ve been working with Emma Cowley from 4D Podiatry in Saltash since last November to try and sort out my reoccurring blister and bruising issues on my feet. “I’ve also been struggling with a glute tendon injury since last November and although it’s not been enough to stop me competing, it has hampered my training and motivation as the pain tends to come on around 10k into a ride. “I knew the distance involved on the bike this weekend would be too short to incur this main, which I think gave me a real boost both mental and physical.